What Happens When You Need to Store a Gun at Your Courthouse? Guns are not allowed in courthouses, although there is some variation to the law in each state regarding who (meaning which type of officer) is allowed to have a weapon. But what happens when someone is legally carrying a gun and needs to enter the courthouse? What are they supposed to do with their gun? In most cases the courthouse provides gun lockers or cabinets for the general public, attorneys, public agency employees, and police officers to use. Making sure your courthouse is using a secure gun locker or cabinet is essential to protecting people’s safety. Because when a gun goes missing, it’s a major security concern like what happened at the Beaver County Courthouse. 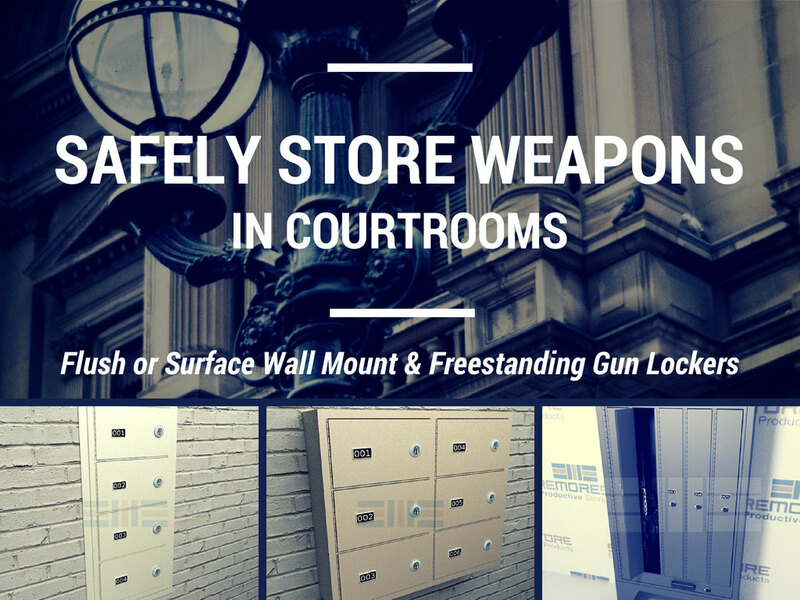 We can also work with you to custom design a gun locker or cabinet solution for your courthouse. All of our gun lockers and cabinets are designed for durability and rigidity to provide the highest level of security for stored weapons. And while the outside is tough, the inside is lined with neoprene to protect stored guns from damage. Also, depending on which type of gun locker or cabinet you choose, there are both keyed and combination locks available. Shop online now at StoreMoreStore to find the right gun locker or cabinet for your courthouse. And if you have any questions or need any help, please give us a call at 1-855-786-7667.